Donnell is a member of Kansas Agri-Women and American Agri-Women. She works as a farmer, meat scientist and food labeling specialist. Creating nutritional labels for a vast array of foods and food products is a livelihood for Donnell Scott, who works at AIB International in Manhattan, Kan.
Scott also serves on the food labeling and education committees for Kansas Agri-Women and American Agri-Women and is a past vice president of education for American Agri-Women. She says her work experience in meat quality control and food labeling, and her background as a farm wife and now a farmer herself following the death of her husband two years ago, make it easy for her to help educate consumers about food labels. 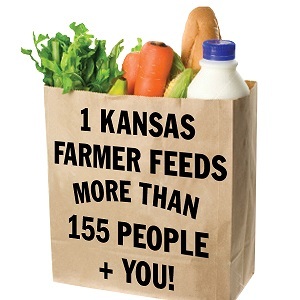 Read more at Kansas Farmer.